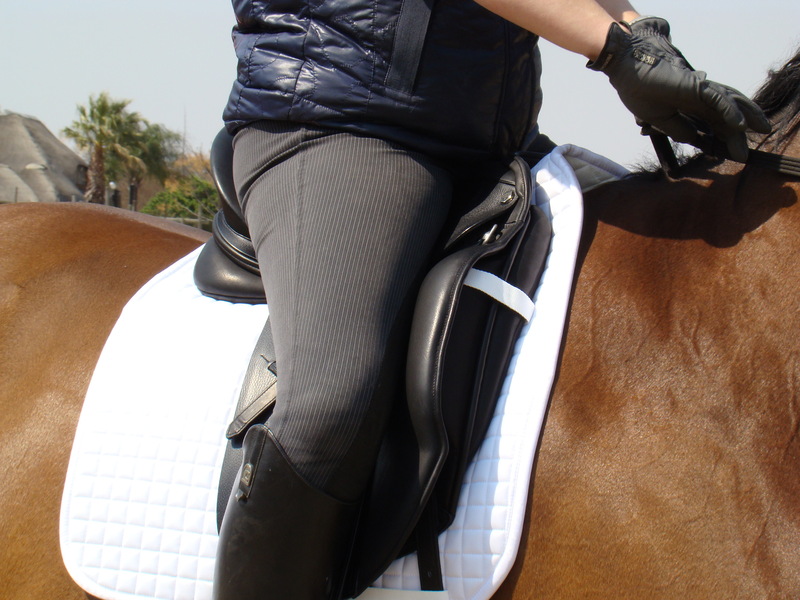 As every rider knows, taking care of your horse’s comfort has a direct correlation to their performance. Yet many horses still wear saddles that don’t fit and many riders are not comfortable in their saddle – this will affect their overall performance. Saddle fitter to the stars Sherry Belton, MD of Albion Saddlemakers has spent the last 25 years finding solutions to fit both horse and rider without compromise. Her clients include Klaus and AnabelBalkenhol from Germany, William Fox-Pitt and Laura Bechtolsheimer from the UK and George Williams and Guenter Seidel from USA. Stability for the rider cannot be achieved if the seat size of your saddle is too small or too large. The balance of the saddle must be correct or you will not maintain your balance and stability. This may create tension in your body. Flap length or position may affect your stability if it is not correct for your height and length of leg. Choose a knee roll position that suits you. For ultimate customization of knee roll style and position choose the Velcro option. Remember that if you are supported and comfortable, your seat balance and core stability will improve. This will in turn improve your performance and your horse’s performance. Check the flocking in the panel of the saddle is smooth and not lumpy. You can do this by running your hands down the panel. 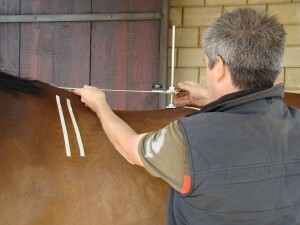 Ensure that your saddle fitter checks that the gullet is wide enough for your horse and is not restricting the spine. Check that the entire panel from front to back is in contact with the horse and not bridging or rocking. If These symptoms must not be ignored as they will not go away. 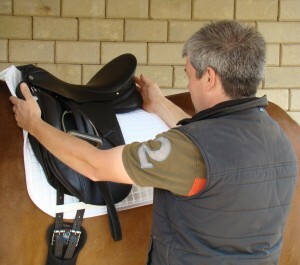 You will need to contact your saddle fitter to resolve any of these issues. At Albion we feel we can provide a superior service to our customers by offering full customization on our saddles from the riders comfort and stability to the horses comfort and stability. I have broken this tip in to two areas; adjustability for the rider and adjustability for the horse. These two vital areas of adjustment allow the panel to be re-stuffed and re-fitted to your horse if there is a change of shape or condition. The saddle tree can also be adjusted if the horse changes shape significantly or if you change horses this increases the possibility of your saddle being re-fitted to your new horse. For me, as saddle fitter to the stars, adjustability is absolutely essential. I have spent over 25 years working with Albion’s design engineer, Paul Belton, to ensure that when I am miles away from the factory I can make adjustments for the horse, to a saddle whilst on site, offering an immediate solution. My favourite saddle to fit is the patented Platinum which is a truly unique saddle, offering the ultimate fitting solution with an interchangeable tree and switch panel system. Performance at every Level will be entirely influenced by the quality of the saddle fit. By definition: ‘The saddle must disperse the weight of the rider at an acceptable level of pressure over an acceptable area of the horses back’. We recommend without exception that all saddles fitted by an experienced, qualified saddle fitter to ensure true potential of your horse is gained through maximizing comfort, balance, stability and freedom. Regular observations by your qualified saddler of the following points will ensure your horse is comfortable and will guide you when your saddle requires attention by your saddler. The purpose of the saddle tree is to distribute the rider’s weight evenly over the acceptable area of the horses back. The arch of the saddle in front must never contact the wither. The rigid part of the saddle (tree) must always be clear of the shoulder blade. The panel at the rear must not contact the horse past the last (18th) rib. Always see clearance through the length of the saddle gullet. Ensure the gullet is wide enough to avoid sideways pressure on the spine. The panel filling must always have a springy fell. Never hard or lumpy. The points of the tree must lay parallel to the firm contact of the horse. The saddle must be balance to evenly distribute the rider’s weight over the acceptable area of the horse’s back. 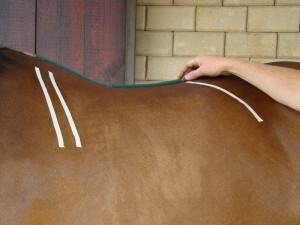 The panel contact should be even on the horse through the length of the saddle. Keep records of changes of your horse’s weight, fitness and maturity. 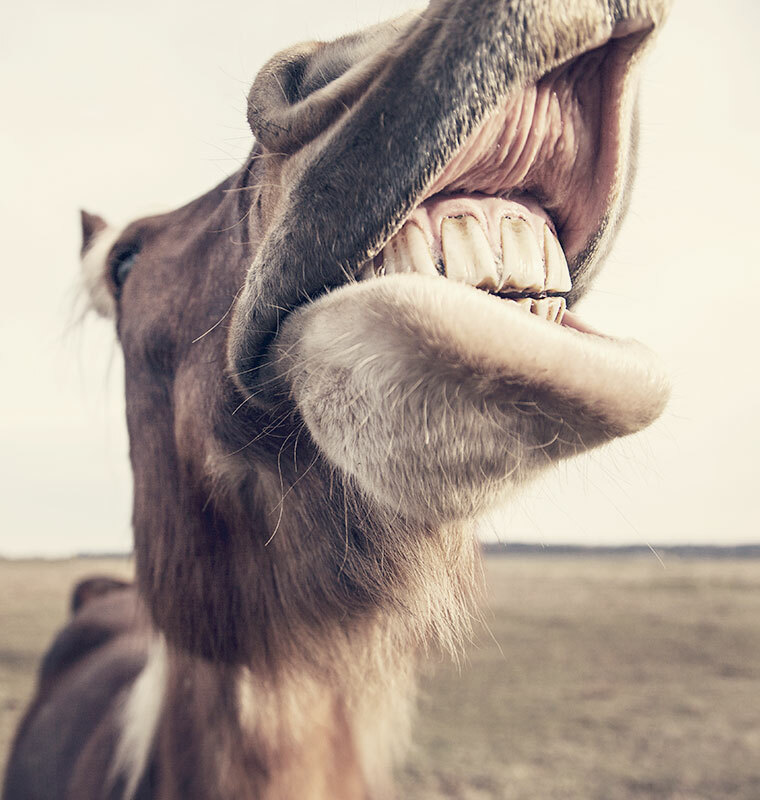 Observe the attitude of your horse whilst taking up and during work.